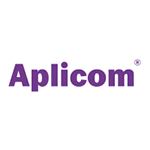 Aplicom started as a European pioneer with its innovative vehicle telematics devices in the 1990s. Since then Aplicom’s high quality vehicle fleet management and telematics tracking units have been installed by service partners to several hundreds of thousands of vehicles and vehicle fleets. The chart below shows the changes within the last 30 days in the number units of Aplicom devices type are connected to Wialon Data Center.